All the communication you have with your customers is nicely stored in SuperOffice CRM. After a while finding the right activity, document or sales can be hard. 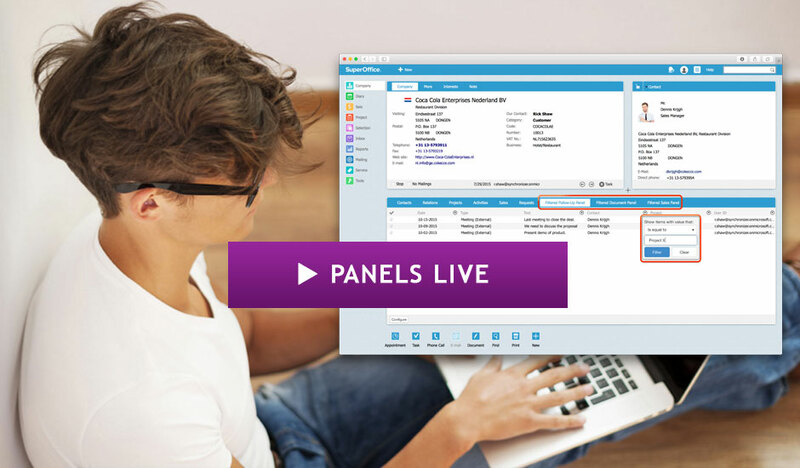 With Panels you create extra archive panels which are optionally pre-filtered with just the information you need. These panels are even searchable so you can find the information quickly. And as a bonus we have added a special birthday panel, so you will see all upcoming birthdays.